Update: (April 26, 2018 12:30am) At approximately 8:00 pm on April 25, Erlanger Officers responded to Peecox Bar and Grill for a possible location of an individual wanted on a Felony warrant. Paintsville KY (May 1st, 2018) The Johnson county Jeep Club will host a Jeep Jam event on June 8th, 9th, and 10th. Paintsville, KY (April 19, 2018) Kentucky State Police Pikeville Post 09, are investigating a fatal collision that occurred on US 460. 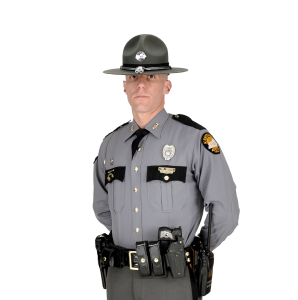 Columbia, KY. (April 26, 2018) Trooper Nick Davis is investigating a collision that occurred Thursday evening, April 26, 2018 at 5:41 PM CST two miles north of Columbia on Pelham Branch Road. Closplint, Ky. (April 27, 2018) Kentucky State Police, Post 10-Harlan, is asking the public with assistance on a missing person investigation. MCKEE, Ky. (April 28, 2018) –The Kentucky State Police, Richmond Post has charged one person with murder, and is asking for the public’s help locating another Jackson County man as the result of an ongoing death investigation. Coldiron, Ky. (April 28, 2018) On April 28, 2018 at 8:48 p.m. Kentucky State Police, Post 10 Harlan received a call of a structure fire on 206 Abe Lane in the Coldiron community of Harlan County.